And I have to say I was really, really impressed with how it tasted too. The chips in particular were amazing - really hot and salty, just how I like them (ooh-er missus) - and I'd quite happily go back there just for them. I was a bit apprehensive about the burger as I hadn't heard many good things about it, but I was actually pleasantly surprised by it. It was properly meaty if a little thin, cooked well - juicy but not underdone - and made even better by the gooey cheese, great burger sauce and the fact it used fresh veggies. I left feeling satisfied but not overly stuffed, and much more virtuous than when I go to most high street burger places. Overall, I've got to say that if you're in Covent Garden, Shake Shack is definitely worth a visit. It's not the cheapest - my burger and fries cost me £7.50 - but as somewhere to grab a quick meal that's a step above a lot of the chains in the area you could do far worse. Plus it has easily the nicest chips I've had in a long, long time. My only regret? That I didn't get one of their legendary frozen custard ice creams - that would have rounded things off nicely. 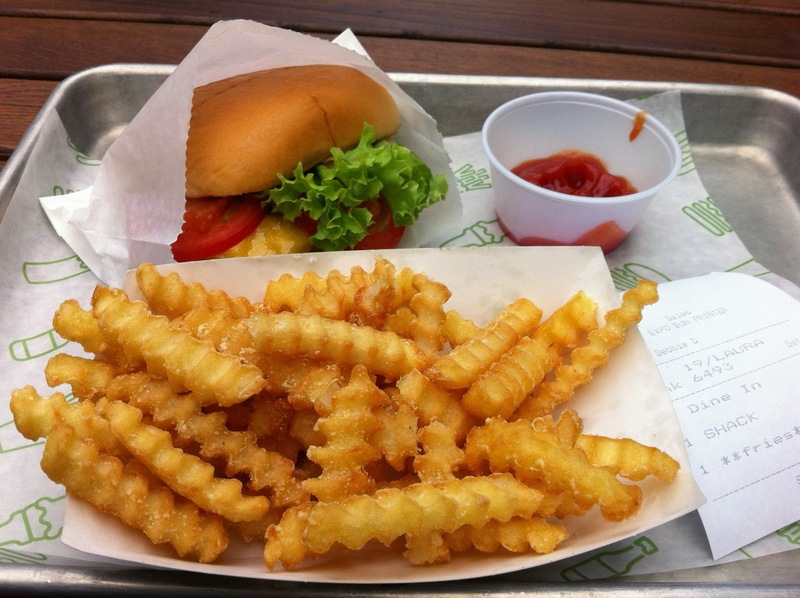 Have you been to Shake Shack or Five Guys? What did you think? And which burger chain is your favourite? Let me know in the comments and have a great day!